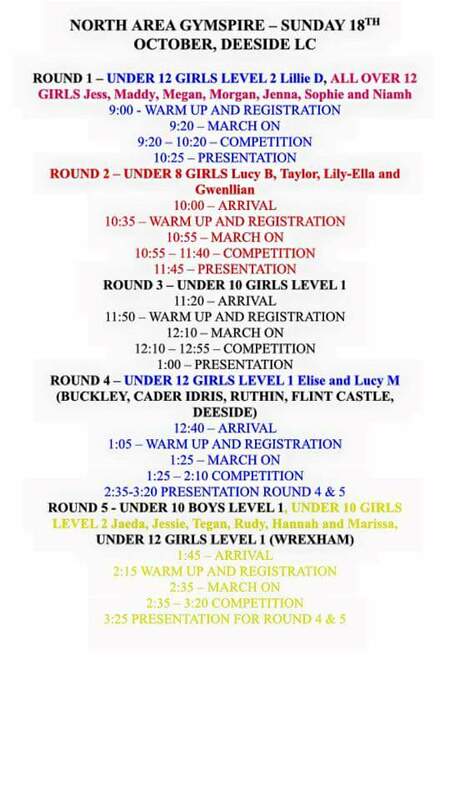 Intermediate class girls are competing in the North Area Gymspire competition on Sunday 18 October at Deeside Leisure Centre. Here is a preview of next Sunday’s competition running order, writes coach Shelley. I have put the gymnasts names next to their group and colour coded it. Click the poster to open it in a new page so you then can print a copy. This entry was posted in competition, intermediate. Bookmark the permalink.